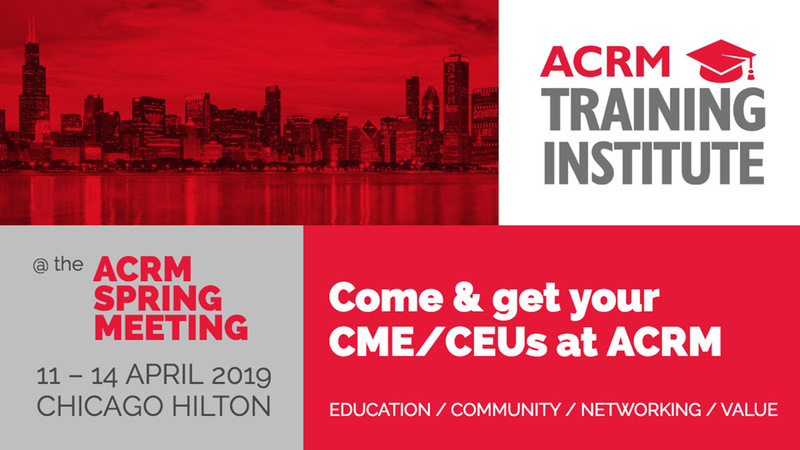 Join us in Chicago, 11-14 April, for the inaugural program of the NEW ACRM Training Institute. With dozens of topics to choose from and member rates as low as $79 for a half-day course ($129/full-day course) including CME/CEUs— you can’t afford to miss it! Here’s just a sample of courses of possible interest to BI-ISIG members.